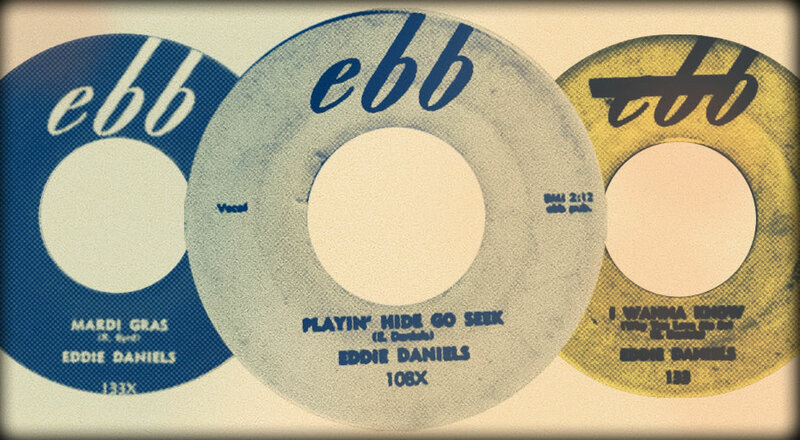 Ebb Records Rockabilly mystery man Eddie Daniels was a teenage Creole rocker with roots in Lafayette, Louisiana, when he cut his rendition of Professor Longhair's otherwise uncoverable "Go To The Mardi Gras" with Bumps Blackwell's band in his adopted home of Los Angeles. His additional Ebb sides, "I Wanna Know," "Whoa Whoa Baby" and "Hide Go Seek" are late '50s rocking desperation at their finest. Penned by Daniels, they sport relentless back beats, pounding piano, blazing guitar breaks and at least as many hiccups and shudders as the average Charlie Feathers record. Like his Ebb label mate Kip Tyler, he waxed another disc for Starla, then seemingly returned to the rock 'n' roll netherworld from whence he'd come. We are honored to announce that Daniels is not only alive and well but that he is playing the Stomp! Simply put, we cannot wait.